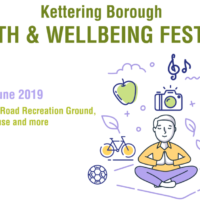 Kettering and its surrounding towns and villages has a wonderful selection of pubs and restaurants offering a wide range of different cuisines to eat, with well-known branded food outlets, family favourites and independent restaurants with awards to their name. There is a great selection of pub lunches in pretty villages with views over the landscape that has provided the ingredients for your meal, and more recently we’ve seen an influx of new restaurants in and around the newly regenerated Market Place in Kettering town centre. There are dozens of cafés around the town, including many independent businesses, offering a tempting range of cakes and treats. 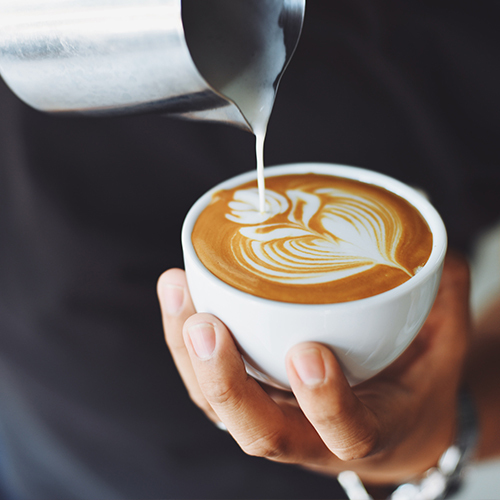 Take a break from shopping or sightseeing to enjoy a delicious lunch or aromatic coffee. Eating out is one of the great pleasures in life. The borough of Kettering offers everything from modern fine dining to beautiful old gastropubs. 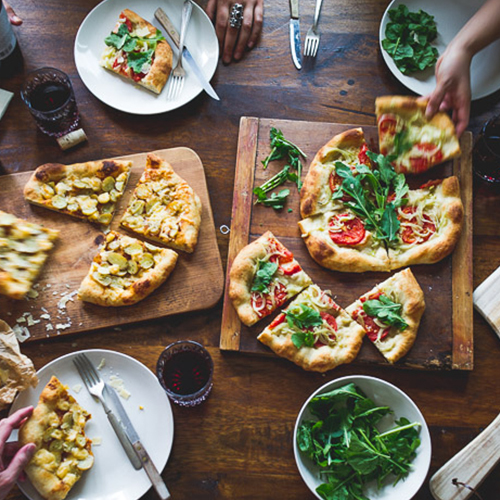 With so many places offering great food you’ll be sure to find something to suit every taste and budget. Pubs are the hub of local life. From traditional historic pubs in which you can relax and unwind to modern stylish bars where you can meet with friends and dance the night away – whatever you seek, Kettering has it in abundance and holds a Purple Flag award for its thriving night-time economy. 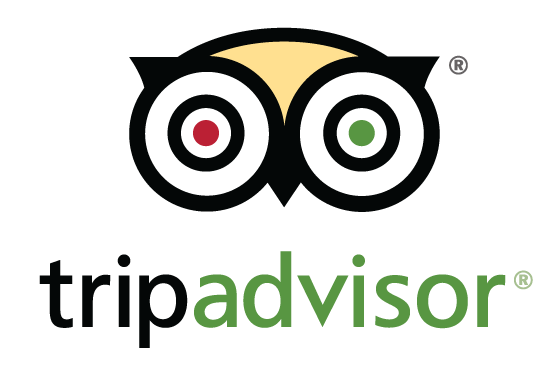 for its thriving night-time economy. 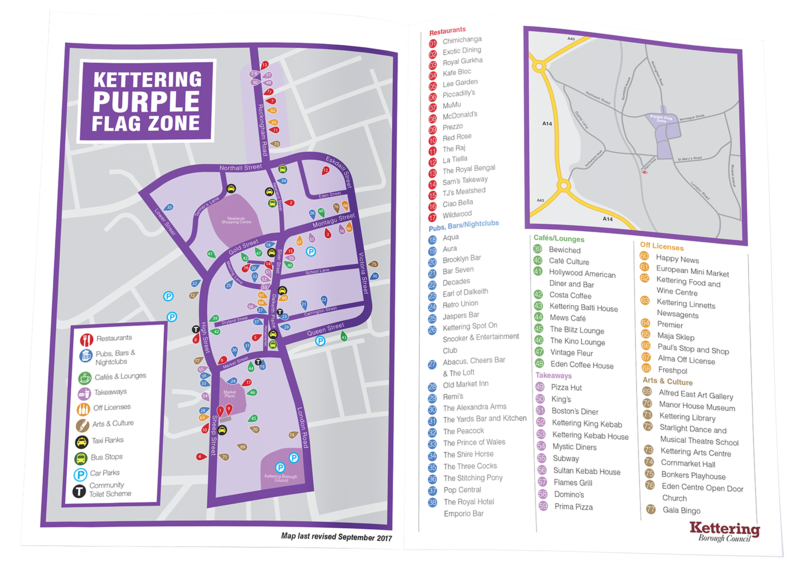 The Purple Flag scheme – similar to the Blue Flag for beaches – recognises excellence in managing a safe and vibrant evening economy. 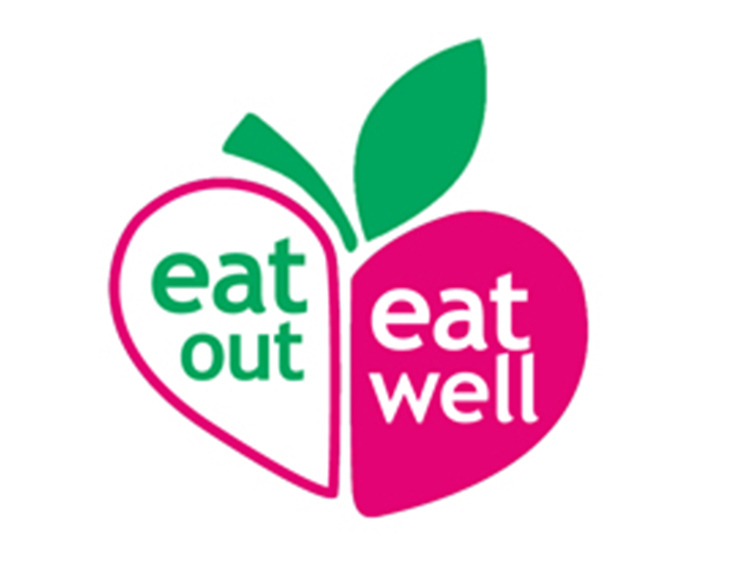 The Eat Out Eat Well award has been developed to reward caterers who make it easier for their customers to make healthy choices when eating out. If you’re looking for a restaurant that provides healthy eating options, check out this list of Eat Out Eat Well winners in the borough.